A growing church, seeking to relate to their culture and world from a clear Biblical foundation. 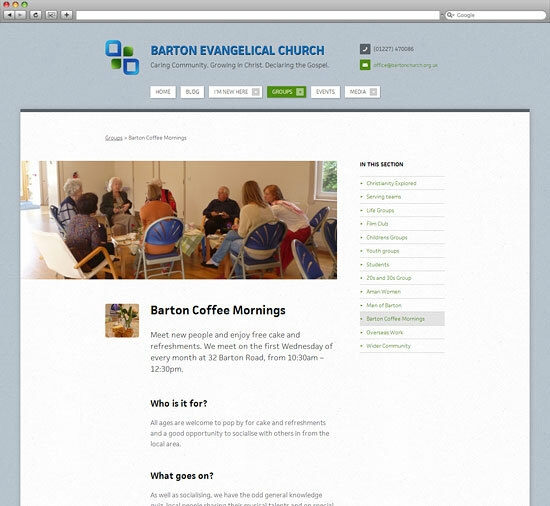 Barton Church came to us looking for a revamp of their website. They'd seen some of our previous work and knew we were the team they wanted working on their project. With a growing church and an evangelical outlook, it was becoming difficult to keep everyone up to date with events and programmes. The Barton staff team were keen to have access to a simple content management system which didn't get in their way or require an expert to update. 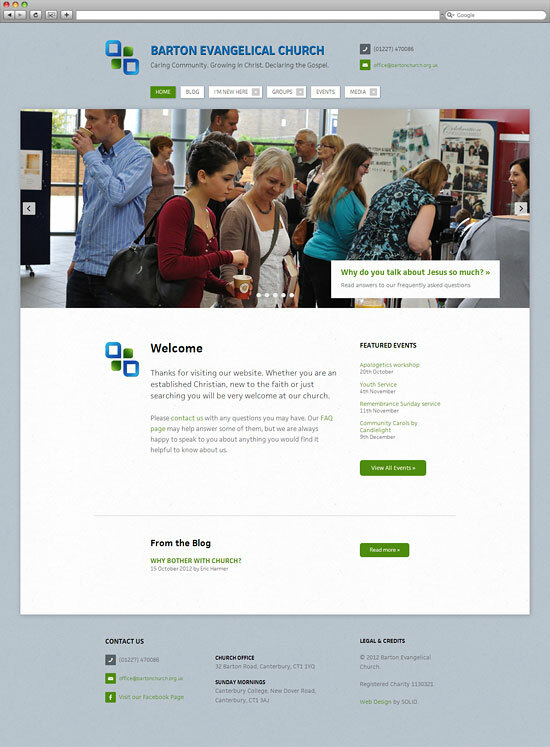 Our responsive web design and build looks great across all devices, and suits the younger culture of the congregation. A dedicated "I'm New Here" section introduces the church to visitors and potential new members. Events are easily added and enhanced with maps to meeting places.